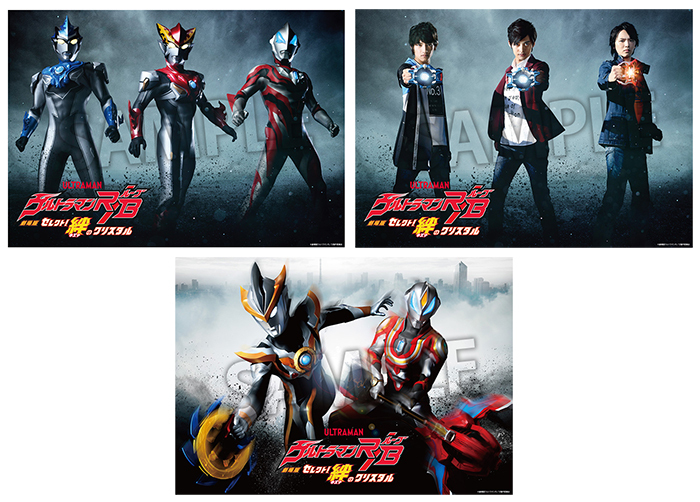 Ultraman Blu, Ultraman Rosso and Ultraman Geed in the first promotional image for ULTRAMAN R/B THE MOVIE ～ SELECT! THE CRYSTAL OF BOND. 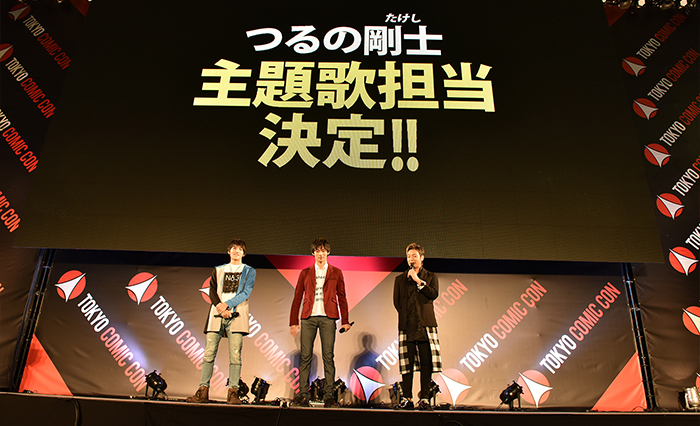 Tsuburaya Productions Co., Ltd. has provided SciFi Japan with information and photos for the next Ultraman theatrical feature film, ULTRAMAN R/B THE MOVIE ～ SELECT! THE CRYSTAL OF BOND (劇場版ウルトラマンＲ／Ｂ　セレクト！絆のクリスタル, Gekijoo-ban Urutoraman R/B Serekuto! Kizuna no Kurisutaru). 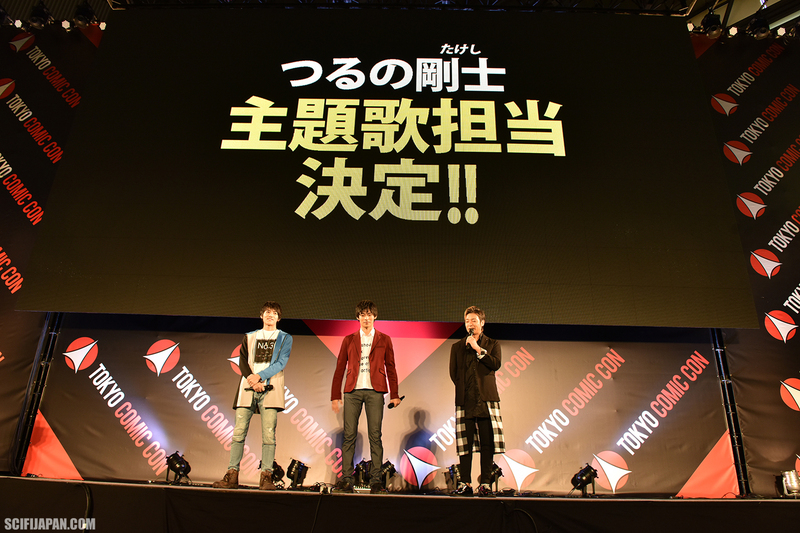 The movie will open in Japanese cinemas on March 8, 2019. ULTRAMAN R/B THE MOVIE ～ SELECT! 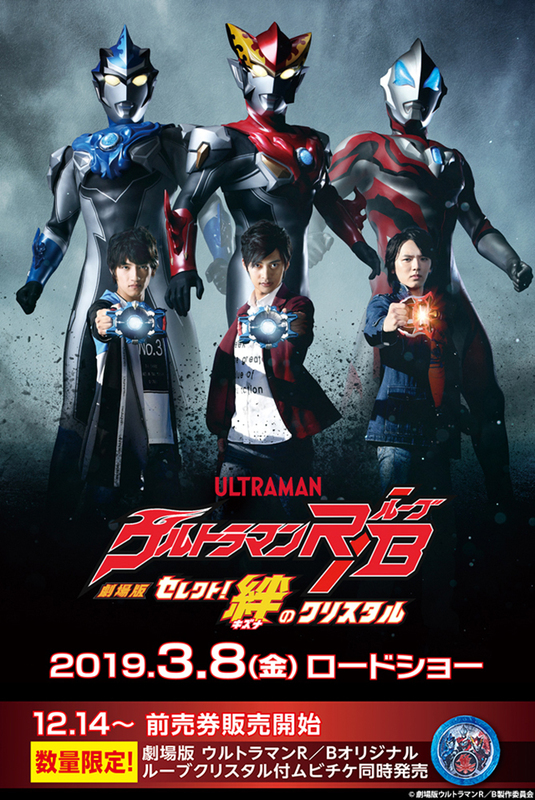 THE CRYSTAL OF BOND is based on the ULTRAMAN R/B (RUEBE) [ウルトラマンＲ／Ｂ(ルーブ), Urutoraman R/B (Ruubu)] television series that has been airing in Japan since July 2018. 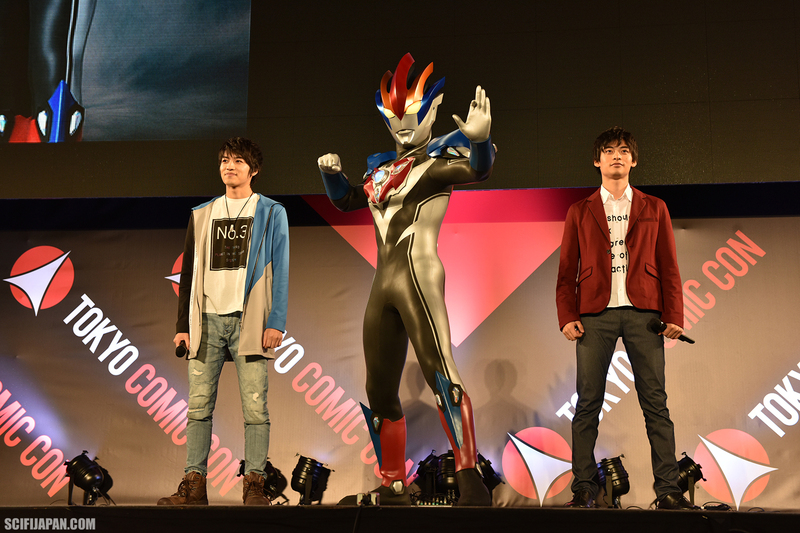 ULTRAMAN R/B was the first Ultraman series to feature, from the start, two brothers who transform into Ultramen. 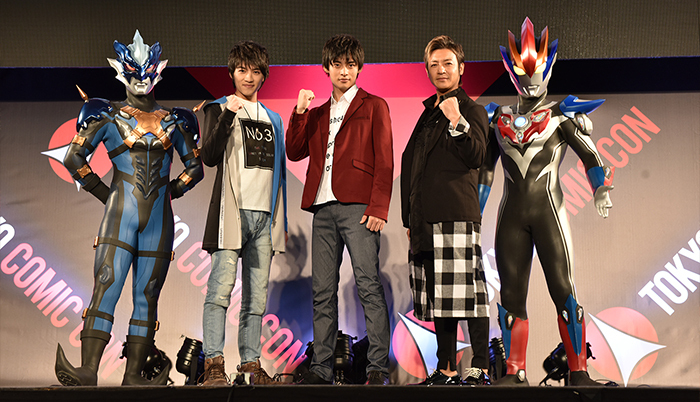 Promoted as a “dynamic tokusatsu family drama”, show follows the adventures of Katsumi/Ultraman Rosso (Yuya Hirata) and Isami Minato/Ultraman Blu (Ryosuke Koike); their younger sister, Asahi, a high school student; their father Ushio, a designer who runs his own specialty store; and their mother, Mio (Kaori Manabe), a scientist researching the brothers’ transformation devices, the R/B Gyro and R/B Crystal. 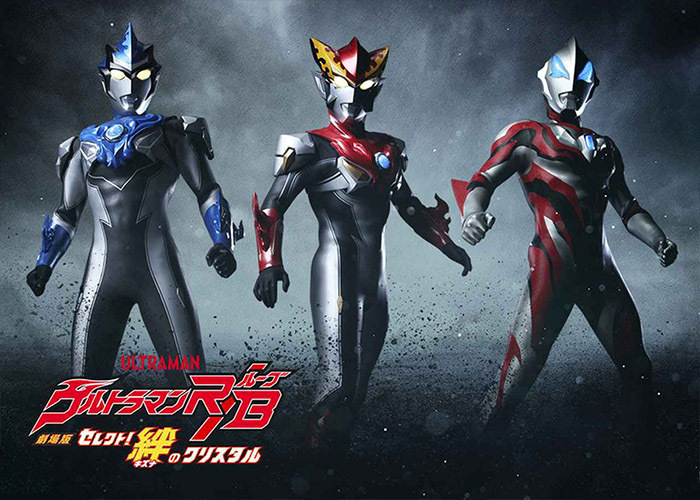 In ULTRAMAN R/B THE MOVIE ～ SELECT! 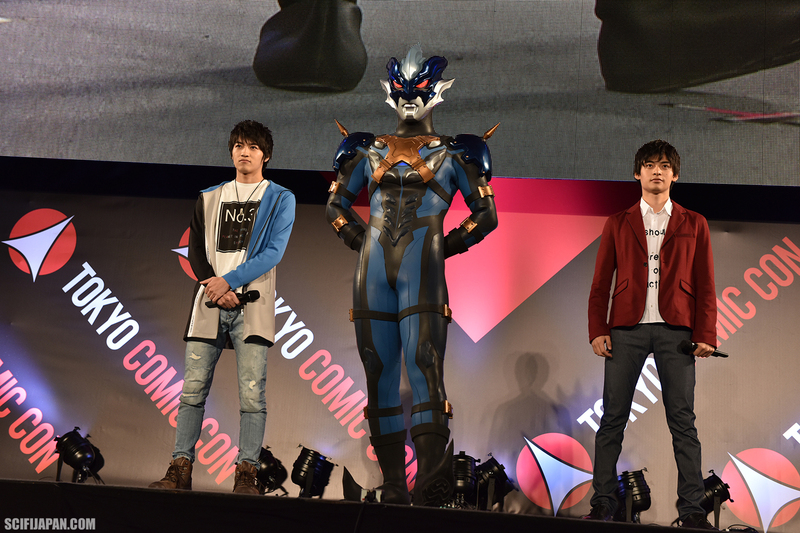 THE CRYSTAL OF BOND, a mysterious Ultraman, Ultraman Tregear (ウルトラマントレギア), will be introduced. 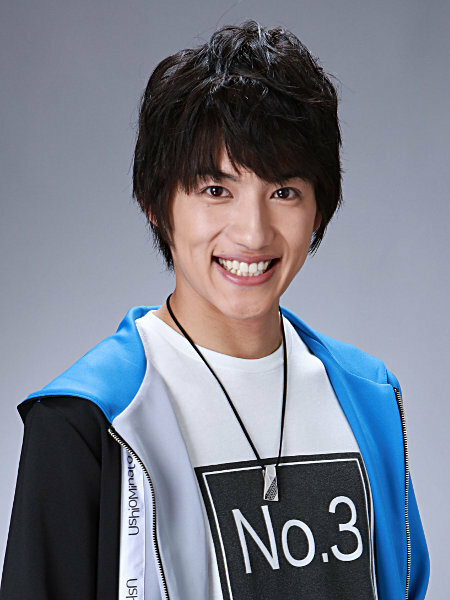 Riku Asakura (Tatsuomi Hamada), the main character of the previous TV series, ULTRAMAN GEED (ウルトラマンジード, Urutoraman Jiido, 2017), will also appear and join the brothers in battle. 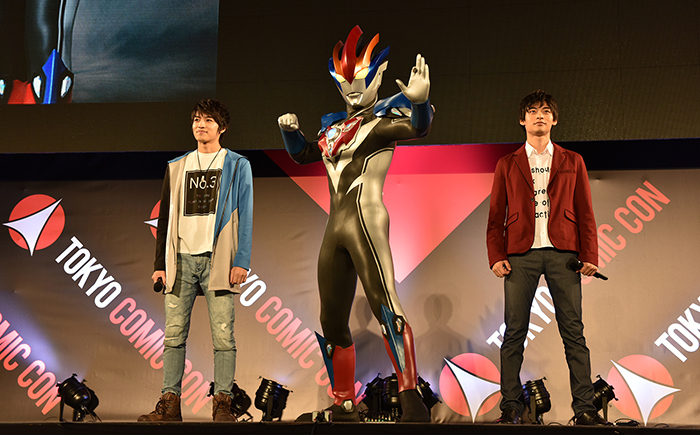 And a new hero born from the hearts of the Minato Family — Ultraman Groob (ウルトラマングルーブ) — will play an important role. 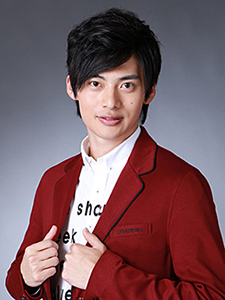 The theme song for the movie will be sung by Takeshi Tsuruno, who played Shin Asuka/Ultraman Dyna in the ULTRAMAN DYNA (ウルトラマンダイナ, Urutoraman Daina, 1997-1998) television series. In the movie, the “Bond” in the title becomes very important. It is a story about the bonds we have with our family and colleagues. 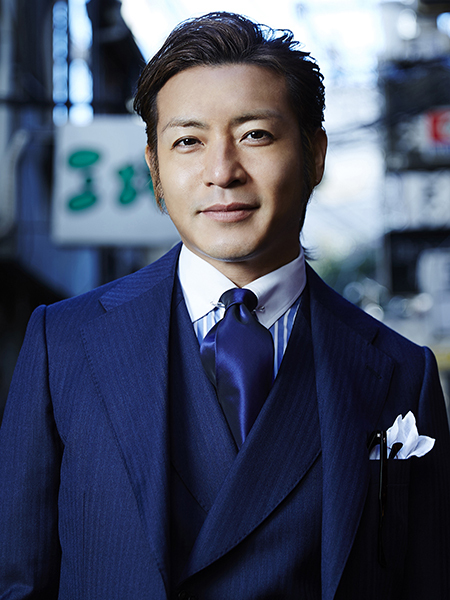 Tatsuomi Hamada performed very well, and enjoyed himself immensely. 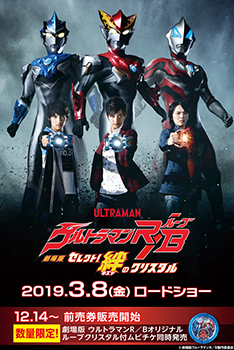 I think you will like ULTRAMAN R/B THE MOVIE. The TV series will end in one month [the final episode airs December 22]. There is a movie version with a connection to the series that you can enjoy even if you’ve never watched the show. But you should watch the TV series first, and enjoy the movie even more! Ryosuke Koike is 23 years old, and I was 23 when I starred in ULTRAMAN DYNA. 21 years later, I will be in charge of the theme song with the hopes of inspiring a new generation. I realized my dream of playing Ultraman, so I want to give my juniors a dream of their own! 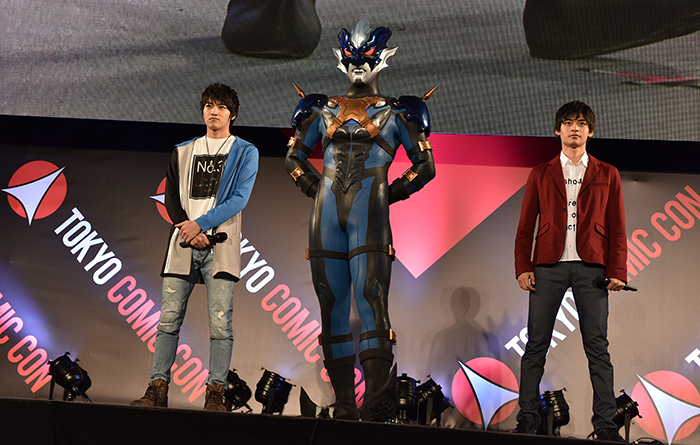 Ultraman Tregear, a mysterious new Ultraman, suddenly appeared in Ayakashi, hometown of the Minato Family. Inspired by a question from Tregear about making dreams come true, Katsumi seeks out his own dream. 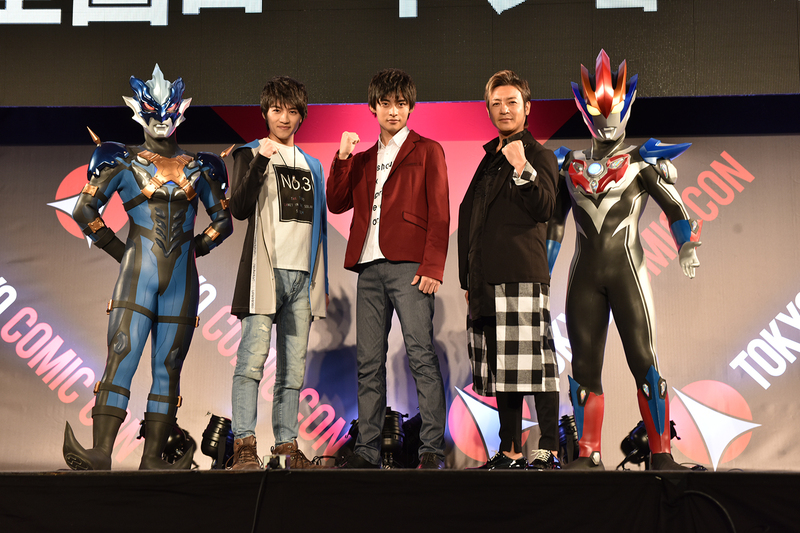 But when kaiju reappear for the first time in a year, Ultraman Rosso and Ultraman Blu once again stand together against the threat, joined by Ultraman Geed. 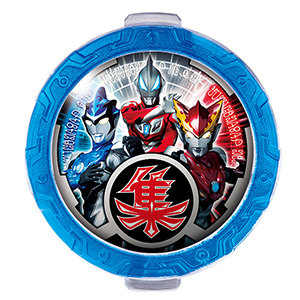 As the Ultramen engage the monsters in battle, the hopes and bond of the Minato Family will create a new hero, Ultraman Groob!